Thinking about saying “I do” abroad but don’t know where to start? If you are considering Greece, Culture Trip has selected a few options to get you inspired. Whether you want a church or a beach wedding, a grandiose reception or a low-key party, it’s all here. And if you need another reason to choose Greece, then you can stay right here for your honeymoon. If you have ever dreamed of a beach wedding, then a wedding at Casa Playa Beach in Zakynthos is the perfect setting. You will have a relaxed party with the sand between your toes, delicious food, views over the sea, and a magnificent sunset—it doesn’t get more laid-back than that. Have a beautiful ceremony by the beach surrounded by your friends and family before enjoying a meal by the garden area. End your special day showing your best moves on the dance floor. And there’s no need to rush to the airport for your honeymoon—you are already in paradise. Picture this: a rustic wedding on a quaint farm, with its olive press, workshops, and a guesthouse. It even has a church. Agreco Farm is the ideal venue for a wedding. Located on a hilltop near the small village of Adelianos, Crete, the estate allows for spectacular views of the surroundings. 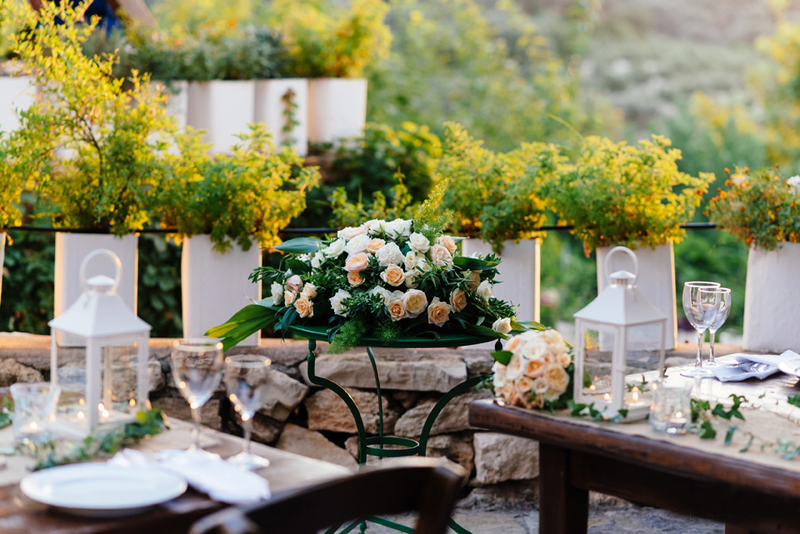 Say “I do” in the small chapel on site and opt for an outdoor dinner and enjoy local delicacies, raki and wine in a convivial setting. The Argithea Winery Estate is located in the vicinity of Kantza, near Athens. Surrounded by vineyards, the estate includes a picturesque chapel to say your vows in front of your loved ones in an enchanting setting near the reception area. Boasting a simple yet luxurious aesthetic, the infrastructure features a pool, a bar, as well as an outdoor area where you can enjoy a delicious dinner surrounded by your guests. You don’t have to worry about anything: the estate can appoint its professional staff to decorate and set the reception area. All you have to do is look pretty and smile! 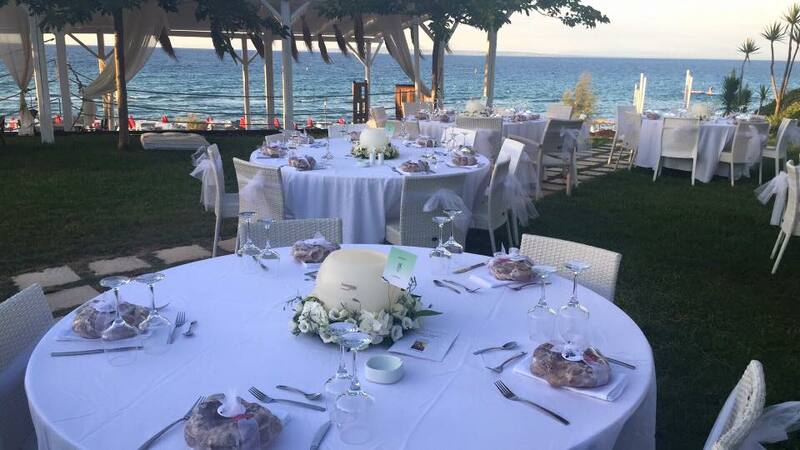 A wedding venue by the sea, Amaltheia is perfect for glamorous couples looking for an elegant venue by the waters. Partnering with specialists and wedding experts, the venue has several services including catering, decorating, and even car rentals. Choose between the summer or winter hall, a DJ or a local band, and find your perfect gala dinner. You can even decide on having fireworks at night to end your special day on a spectacular note. 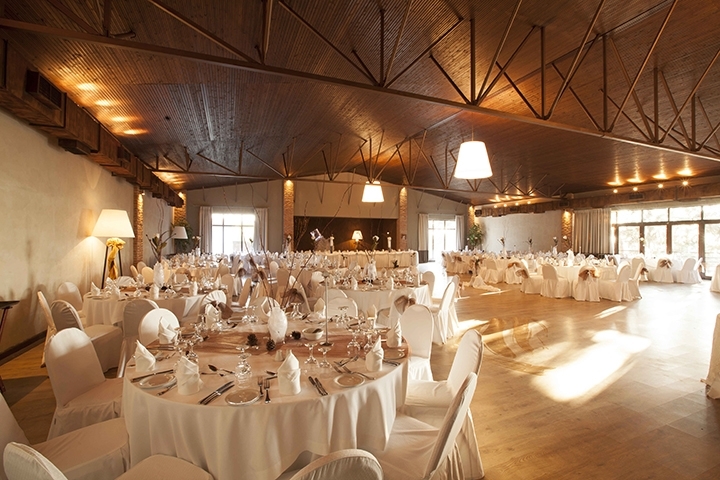 Located in the heart of a green land, the Deda Estate, less than 20 minutes away from Thessaloniki, is a beautiful estate and an equestrian club where you can celebrate your wedding ceremony and reception in one place. The Agios Konstantinos and Eleni chapel is located within the estate, saving you time and transportation costs. After the ceremony, walk to the reception area, which you can have outdoors or in the country-styled hall. Bonus point: the estate is managed by the five-star Makedonia Palace Hotel, allowing for convenient transportation to and from the hotel for you and your guests. What more do you need? 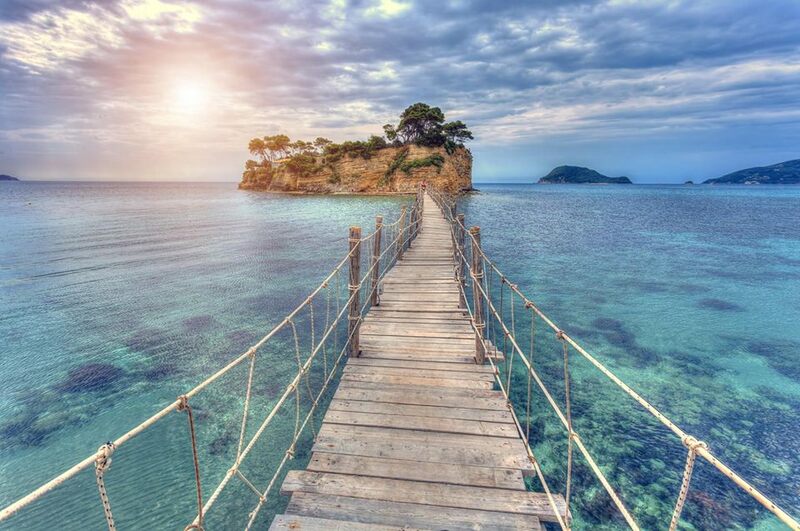 Cameo Island is a small, private island off the shore of Laganas, Zakynthos. The island—actually more an islet—has a beach that can be hired for a private wedding ceremony by the water. Accessible by a footbridge, the islet is ideal for an intimate wedding. 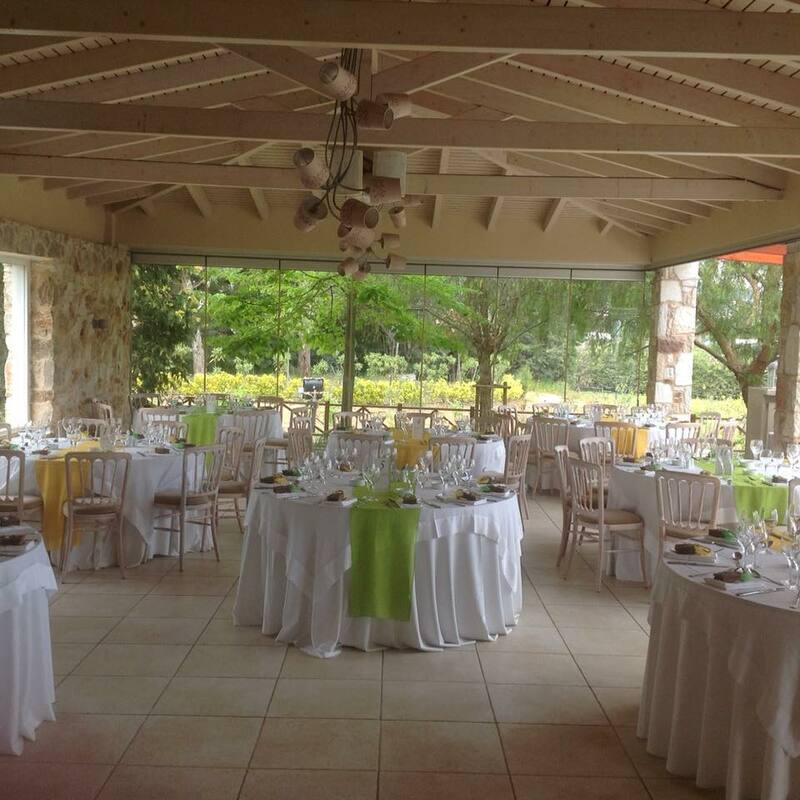 There are many wedding agencies that offer Cameo Island wedding packages, with a reception in a nearby taverna. 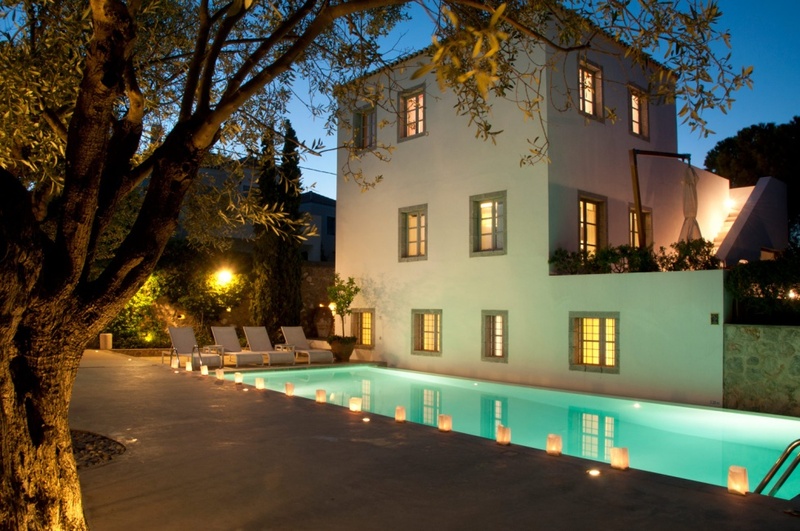 A beautiful and cosmopolitan island, Spetses is often considered a romantic destination for many. So why not take the opportunity to exchange your vows in the scenic Orloff resort, near the Old Harbor of the island. This little haven of tranquility offers casual luxury in the dedicated area by the pool, with a reception at the award-winning restaurant on site. Your guests may even benefit from special room fare. So make yourself and everyone happy with a grand wedding in one of the most beautiful hotels on the island. 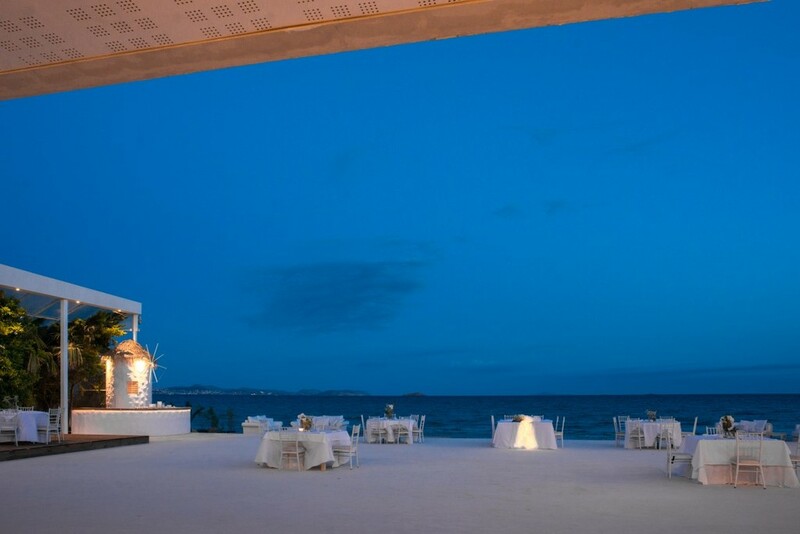 Located in one of the most romantic spots in Greece, Kinsterna Hotel is the ideal wedding venue for those looking for a spectacular place to exchange their vows. This stunning historic mansion by the sea has developed some expertise in catering to your desires and can easily create a bohemian-chic party or a fairytale wedding, just like the one you always dreamed of. Rooms are made available for the happy couple and their guests for a memorable occasion. Of course, no destination wedding list of Greece would be complete without mentioning Santorini, the island that oozes romanticism. Switch up your game and ditch the typical caldera view. You can of course ask your photographer to do your wedding shoot there later, but for now take a step back and trust Theros Wave Bar for your big day. 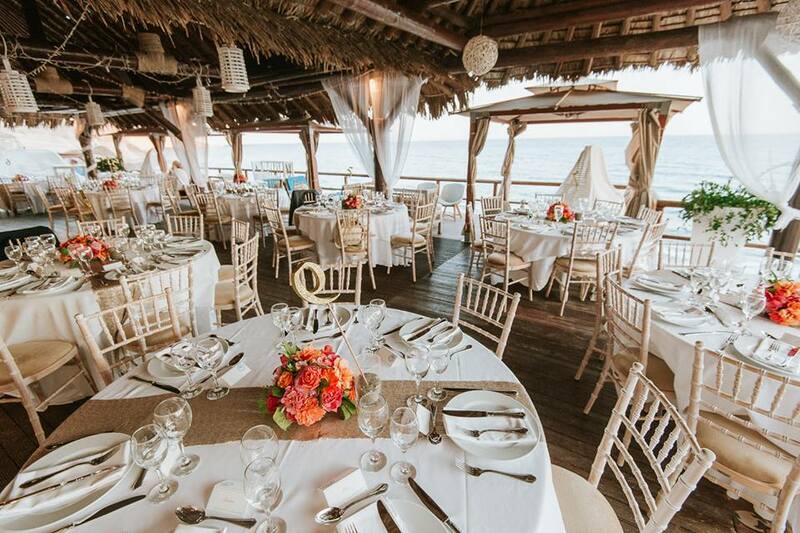 Start with the ceremony on the beach or on the wooden terrace, then relax on the comfy lounge beds or by the bar. 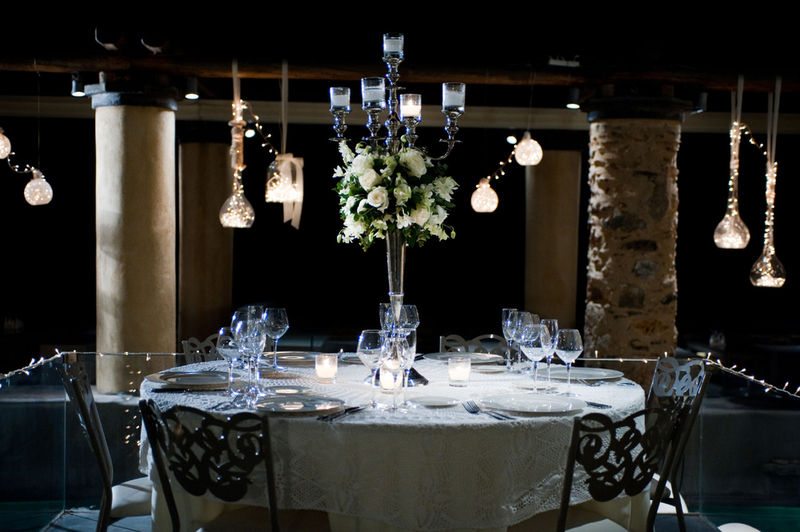 For the reception, have a lovely dinner in a relaxed ambiance before kicking your shoes off and dancing the night away. 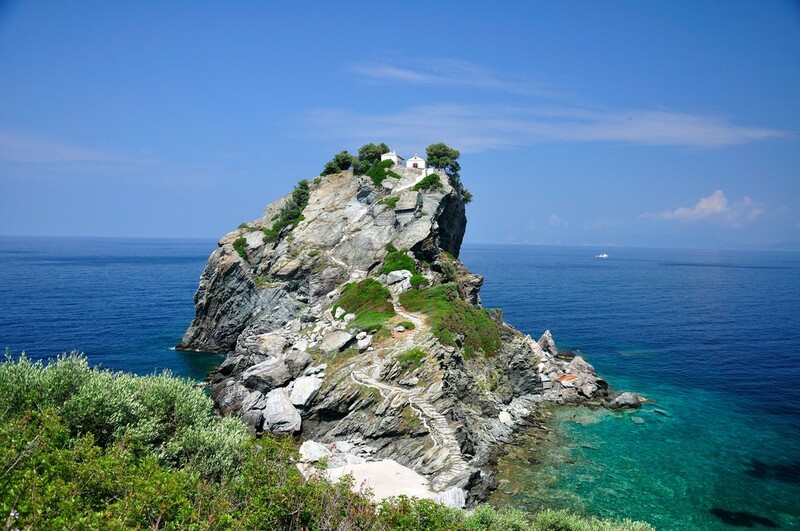 Get yourself a Mamma Mia wedding on the idyllic island of Skopelos. Relive the iconic wedding scene in the lovely church of Agios Ioannis, perched on top of a rock. After you say “I do,” have your photoshoot by the church, or choose to explore the several movie locations across the island. Or skip the church and have your ceremony on the Amarantos rocks, where you can take spectacular photos with your spouse. And even if you are not a fan of the movie, just know that Skopelos was a romantic destination long before the movie came out.